After leaving Raspado Express, this caught my eye. 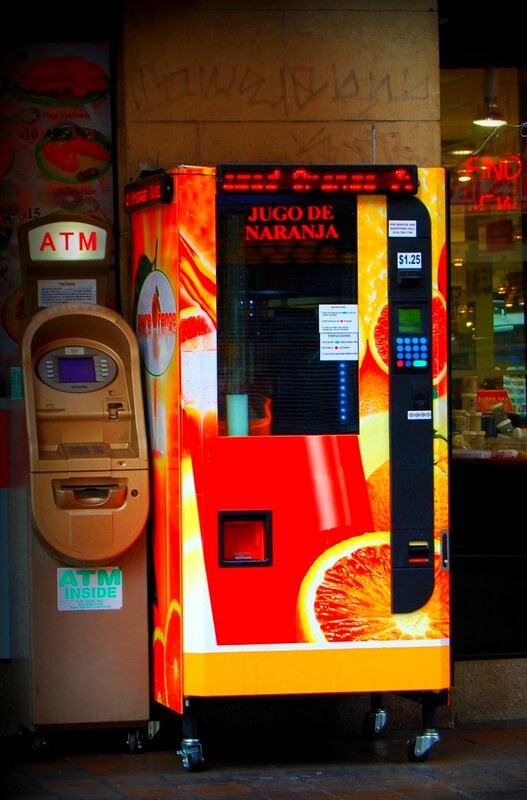 It is a vending machine that sells fresh squeezed orange juice. Woah. I didn’t try it myself, but for only 1.25 you can get a cup/glass/mug of freshly squeezed Jugo de Naranja to go. And if you don’t have cash on you, don’t worry! There conveniently is an ATM right next to it. You’ve got to love LA!